Never get frustrated building your train tracks again! Our 2 male-male & 2 female-female adapters allow you to fit the end of any track piece into any other track to help you complete whatever track design you want. 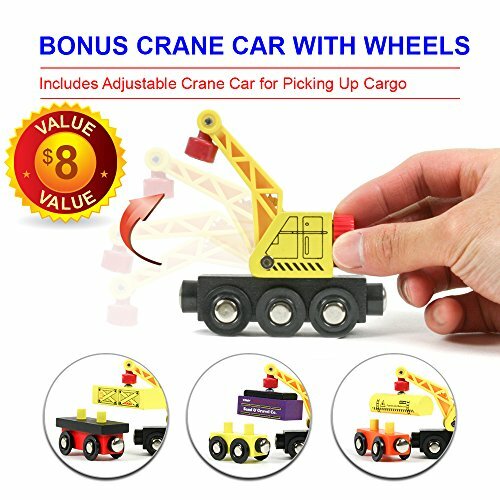 The ONLY train set sold on Amazon that includes a working crane car for picking up cargo. For added fun, we specially designed 3 train cars to have removable cargo so that they can be picked up by the crane. 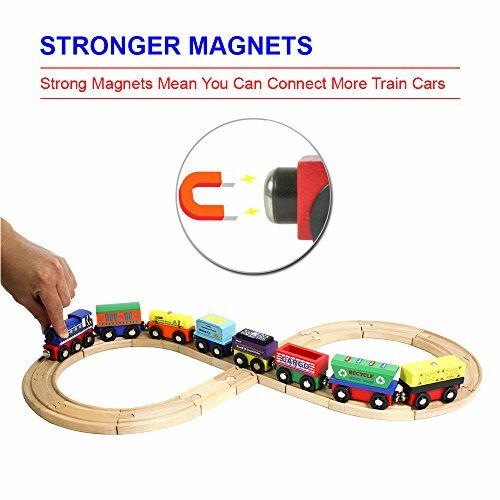 The magnets on our trains were carefully chosen and have been tested extensively to be stronger than those in other sets. This means more train cars can be connected together to make longer trains. This product complies with all U.S. toy safety standards and are free of lead, cadmium, and phthalates. 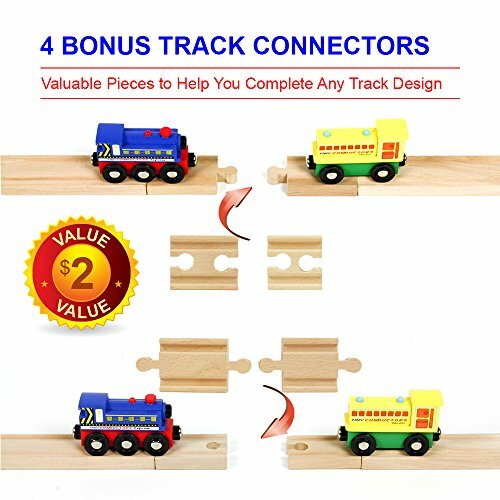 Tested thoroughly and proven to work with Thomas and other major brands of wooden toy railroad sets.